Life UpdateWhat Is ‘Jessie’ Star Josie Totah Up to Now? When the essay was published, the Jessie star took to Instagram to invite her followers to give it a read. These days, the Liv & Maddie star posts on social media pretty frequently, but if you haven’t been keeping up with her life recently, there’s a lot you need to know about what the 17-year-old is up to now. Ready? She’s in a TV show that’s currently on Netflix. ICYMI, Josie starred in a TV series called Champions, which premiered on NBC on March 8, 2018. In it, she plays the role of Michael Patel, a gay theater kid, and the hilariously funny Mindy Kaling plays the mom. Unfortunately, the show wasn’t renewed for Season 2, but the good news is that it’s currently on Netflix, so if you didn’t get the chance to watch the first and only season of the show, now’s your chance! She’s currently in a show on Comedy Central. Although Champions didn’t get renewed, Josie’s currently working on a bunch of other projects that are experiencing tons of success. The Comedy Central series The Other Two, for example, was recently renewed for Season 2, and even though we’re still in the midst of Season 1, we somehow can’t wait for what’s coming next for her character Elijah. She’s going to be in a Disney movie. That’s right, you guys! Josie is set to be in the upcoming Disney+ movie Magic Camp. She’ll be playing the role of Judd, and she’ll star alongside some familiar faces, which include Adam DeVine, Jeffrey Tambor, Gillian Jacobs and more. At the moment, details are slim about the flick, but considering the Disney+ streaming service will be out sometime this year, it doesn’t sound like we’ll have to wait much longer. She was recently included in Forbes’ 30 Under 30 list. Everyone knows that it’s a huge honor to be included in Forbes’ 30 Under 30 list, and in November 2018, it happened for Josie. The mag celebrated the fact that the actress was finally living life as her authentic self, and she took to Instagram to express her gratitude for the recognition. “#forbes30under30 issue is out next week,” she wrote. “I am so insanely grateful to be among this incredible group of people. I’ve always dreamt of this, but was told from the very beginning I was an average student, my test scores sucked, and the only thing I was good at was getting myself in trouble. but I always had my family supporting me and I never gave up. So here’s to all the colleges that denied me last spring. believe in yourself.” What an icon! She’s currently enrolled in college. Although she’s had a successful acting career thus far, Josie is also pursuing a college degree. In fact, she’s currently dorming at school. That’s right! 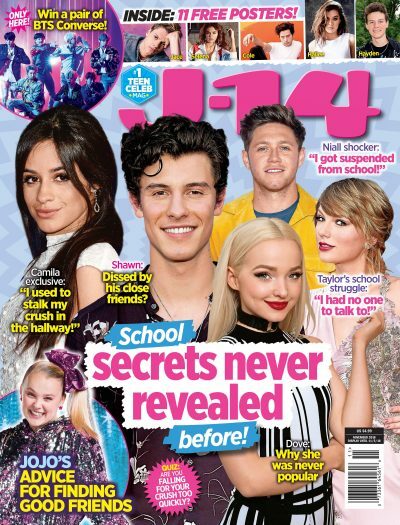 Even though she’s a star, she’s still doing college the same way as everyone else, and TBH, we think it’s so cool that she’s so down-to-earth. She’s a huge advocate for LGBTQ+ rights on social media. Yup! Josie doesn’t just walk the walk, but she talks the talk too. The actress is constantly pushing for equality for the LGBTQ+ community on Twitter, and when there’s news of possible legislation that could impact trans people, she makes sure her followers are up-to-date with all the facts. What an inspiration! She’s looking forward to playing female roles. In the past, Josie’s played lots of male roles, but she’s really looking forward to taking on roles she’s never had the opportunity to play before.